Early check in and delayed check out can only be done on a request basis. 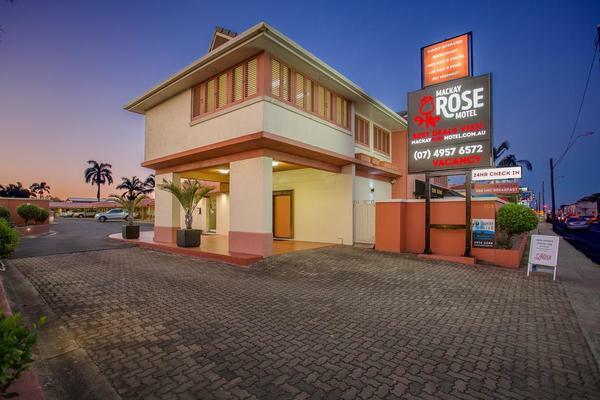 Our reception closes at 8.00pm and guest need to contact Mackay Rose Motel if arriving later. 24 hours Cancellation Policy - cancellations must be made a min. of 24 hours before 2.00pm on the day of arrival.Cancellations inside this time are subject to a cancellation fee of 1 nights accommodation. In case of a No Show, the No Show fee is charged at the full value of the accommodation reservation.